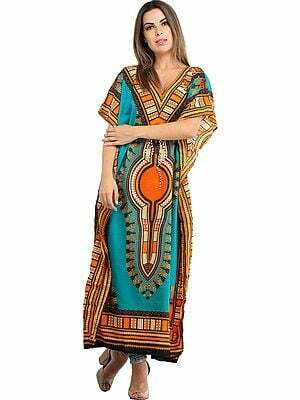 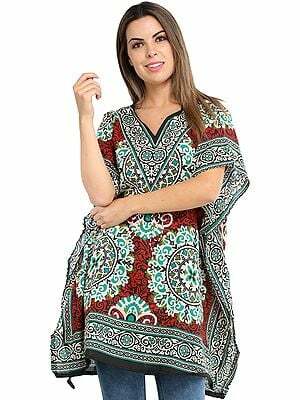 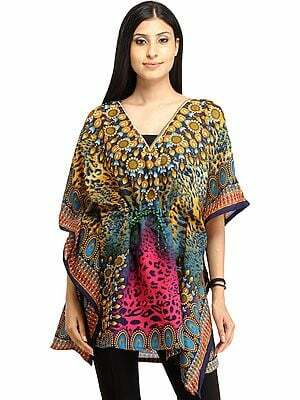 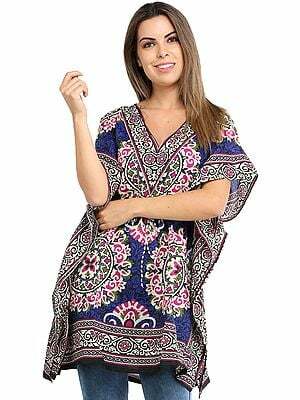 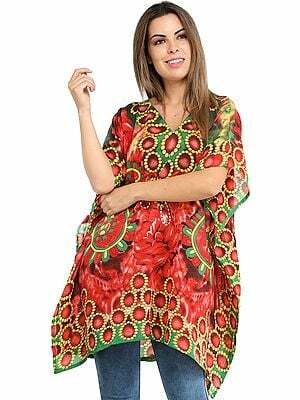 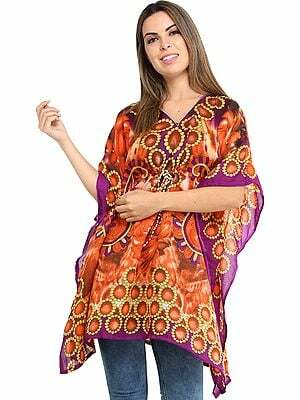 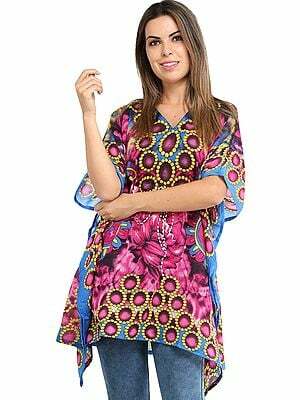 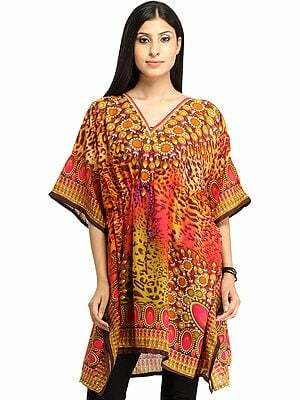 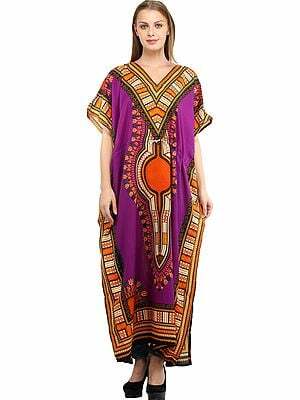 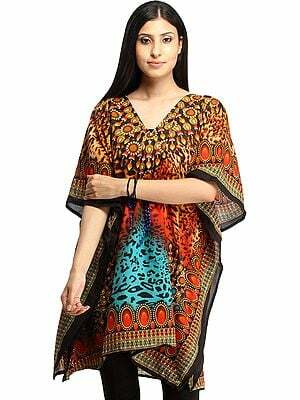 You’ll love our Kaftans in a host of designer prints and color. 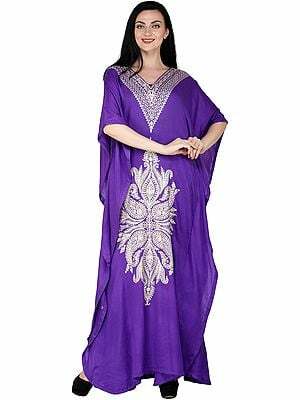 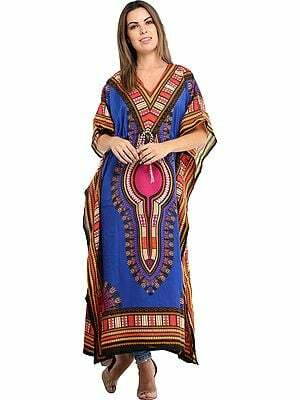 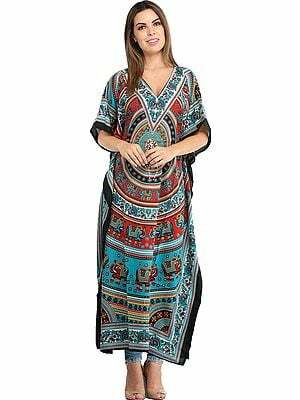 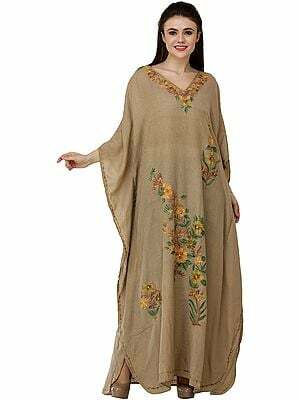 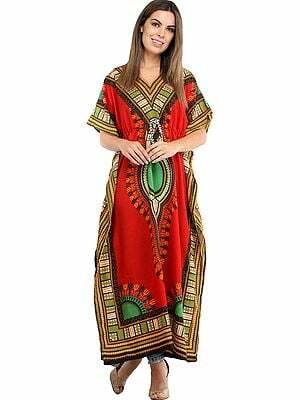 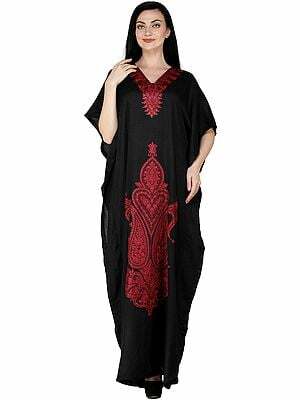 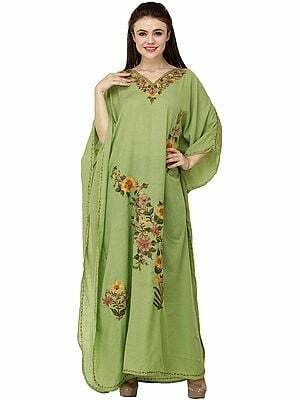 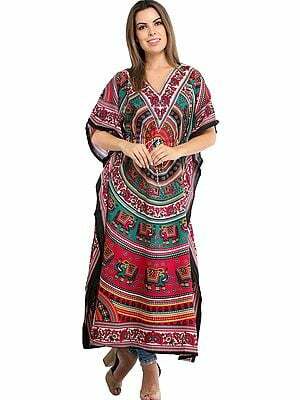 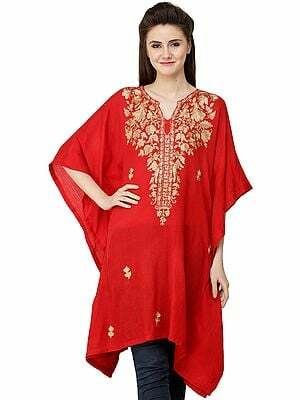 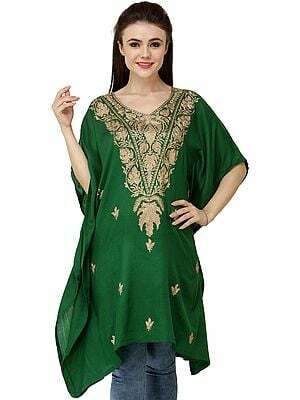 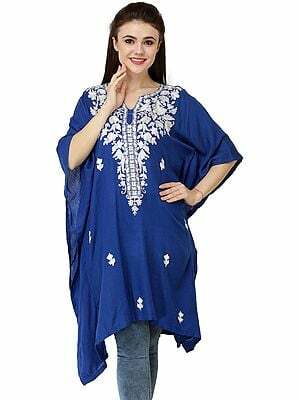 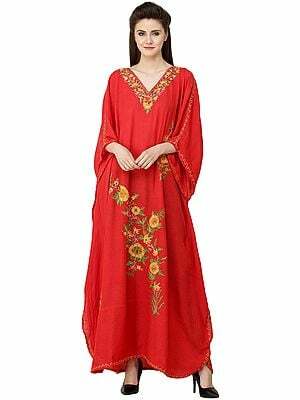 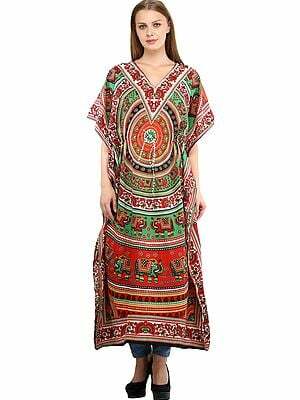 Find short and long Kashmiri kaftans with embroidered flowers, paisleys, sequins and beadwork. 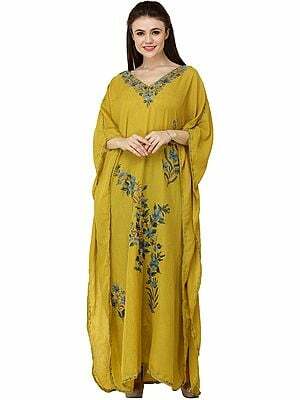 There are batik printed dresses with threadwork, flax kaftans with floral embroidery and printed designer gowns with path order.